Dance examinations help to measure progress. There are several different Dance examination boards in the UK. Some Dance schools have a strong preference to which board they use and which syllabus they wish their students to follow. Here are some details of the various Dance exams that are available. ABD is a dance examination board that offers accredited technical examinations and medal tests in all forms of dance. Classical Ballet, National, Greek & Character. Song and Dance, Musical Theatre, Lyrical and Cheerleading. Hard shoe, Light shoe and Ceili. The Imperial Society of Teachers of Dancing (ISTD) is one of the world’s leading dance examination boards. From ballet to ballroom, the ISTD has 12 dance faculties covering theatre, dancesport and social dance. 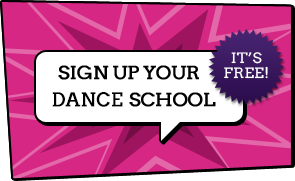 No other dance examination board offers as many genres. Grade Examinations may be taken in Classical Ballet (Cecchetti and Imperial methods), Modern Theatre, Tap, National Dance, Classical Greek, Classical Indian Dance, Modern Ballroom, Latin American, Disco Freestyle and Classical Sequence. Grades 1-6 are accredited by Ofqual, but some Faculties have additional Grades prior to Grade 1, that is, Pre-Primary and Primary. The International Dance Teachers’ Association is one of the world’s largest examination boards, covering the full spectrum of dance examinations on a global scale, with over 7,000 members in 55 countries. The Association celebrated its centenary in 2003. Grades 1 - 5: Ballet, Tap Dance, Modern Jazz, Theatre Craft, Modern Ballroom, Latin American Dance, Classical Sequence, Freestyle. Intermediate, Advanced 1 and Advanced 2: Ballet, Tap Dance, Modern Jazz, Theatre Craft. We offer an internationally recognised portfolio of exams designed to motivate and encourage students of all ages and levels of ability. These will gain you UCAS points in the UK.Dance to Your Own Tune (Demonstration Class) is the curriculum for children from 2½ to 5 years. We also offer teacher training. The Graded syllabus (Pre-Primary in Dance, Primary in Dance and Grade 1 – 8) provides a broad practical dance education and develops technical, musical and performance skills (age 5+). Vocational Graded Examinations (Intermediate Foundation, Intermediate, Advanced Foundation, Advanced 1, Advanced 2) provide an in-depth study of ballet and prepare students for a career in dance (age 11+). Graded and Vocational Graded Examinations can be taken at the same time. Board of Dance Qualifications & Training is a Standards Organisation for the accreditation and recognition of teaching and performing qualifications of its member Awarding Organisations and Examination Boards in Dance, Movement and Musical Theatre throughout the UK, Ireland and Europe. GCSE Dance (4230) helps students develop technical and expressive skills as well as knowledge and understanding of dance through performance, choreography and critical appreciation of dance.